Fun new spirit gear is available from Team Uniforms Portland Oregon! Please visit www.teamunis.com/findley-elementary-spirit-wear to see selected products and styles. Additional options are available in store. Order yours online today and wear your Findley gear proudly on Friday spirit days! To Order In Store: Visit Team Uniforms at 12965 NW Cornell Rd. 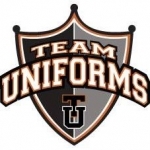 (www.teamunis.com for store hours). Note: Ladies V-Neck runs narrow. We suggest ordering up a size.